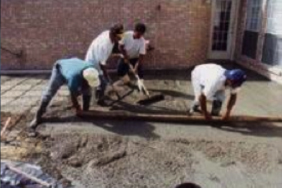 Your backyard will go through a 10-step pool construction process to convert it from its current condition to the backyard of your dreams. 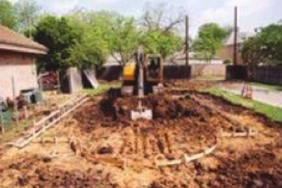 Unless provided for in the contract moving or repairing underground utilities or sprinkler systems is the homeowner’s responsibility. The two basic functions of swimming pool plumbing are to circulate and filter the water. The plumbing system in a swimming pool is self-contained and under normal operation does not need city water (except to fill the pool) or the sanitary sewer system (except for backwash). 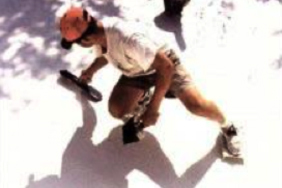 Skimmers: Skim the surface of the water and remove floating debris. 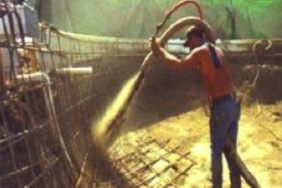 The size and design of the pool will dictate the number of skimmers needed. 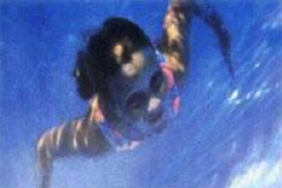 Returns: Returns water back to the pool from equipment and push debris toward the skimmers. Plumbed using 1 1/2″ PVC. The system operates in the following manner: a pump pulls water from the main-drain and the skimmer through a leaf trap and into the pump itself. The water is then pushed through the main filter, through the heater (if applicable), and the back into the pool through the returns. 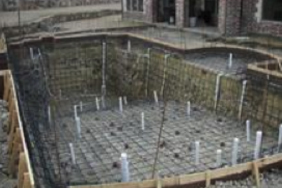 Steel reinforcing bars, (rebar), are placed on 8″ on center each way through vertical walls and floor of the pool and 5″ centers in transitional areas and stress points. 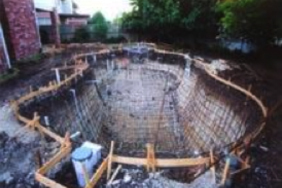 During the gunite process pool depths, elevations and dimensions are set. 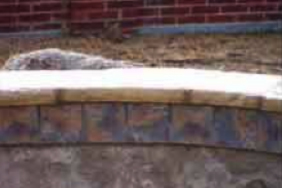 Also pool benches and steps are hand shaped and formed. Many tile and stone selections are available. We ask that you make your selection as soon as possible. 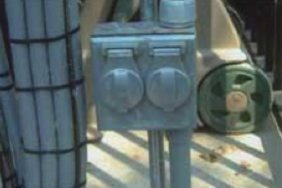 120 volt GFCI protection is installed on all pool lights. Brass conduit is used on all light fixtures. 3/8″ steel rebar 18″ o.c.e.w.. Maintenance equipment is delivered and cleaning system is installed. The customer is walked through and trained on operation of all equipment. It’s time to enjoy your new backyard oasis. If you don’t have one, give us a call! 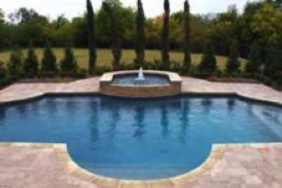 We understand that buying a swimming pool is a big decision for any family. We also know that some families take weeks, months, or even years to make a final decision. We’re okay with that. We’ll help you whenever we can, but we will never try to pressure you into a sale. That’s why we created the Expression Custom Pools “No Pressure Buying Process.” At all stages of the buying process, you are in control. We will proceed to the next step only if and when you tell us you’re ready to proceed. If that’s the way you hoped to be treated, then you’re in good hands. If you were expecting a high-pressure sales guy to “strong-arm” you into buying a pool, then we think you’ll be pleasantly surprised with our No-pressure approach. or water features that you like. Feel free to look at our competitors’ websites as well. Telephone – we can discuss some ideas right over the phone if you like. and share some ideas with you. can create a custom design for you. he can recommend the appropriate features and options. You can choose your tile choices, deck choices and other specific features at this time. depending on weather and the complexity of the project.